Anyone who has turned their hand to DIY will know how important some power tools are in helping to take away some of the back-breaking work that manual labor requires. Power tools help us to do everything from making holes in walls, cutting metals to sanding and polishing in a fraction of the time. There are so many different power tools on the market that it can make your head spin. Drills, grinders, polishers and cutters are only but a few of them. A rotary is a tool that is able to use different bit ends to do all of these tasks all in one machine. Whether you are a professional carpenter or someone who is doing a little home DIY, a rotary tool will be an essential bit of kit that will help you in a vast range of tasks. We all remember at least one occasion when we have bought a power tool that has turned out to be a piece of junk. Either it didn’t do a very good job or more commonly it broke after a really short time. To help you make sure that you are buying the best possible tool, we have tested a huge range of products to find out which is the top rotary model on the market today. What are the different types of Rotary Tools and what do they do? 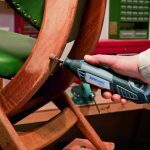 Rotary power tools use an electric motor which is powered by either battery or mains supply to enable the user to do a range of tasks including cutting, grinding, sanding and engraving. They are used by professional and DIY amateurs around the globe to cut down on the amount of manual labor required to do a job. As with all modern appliances, these tools come with a wide range of differing performance levels, functions and optional extras. All good rotaries should include variable speed controls, a universal tool attachment option, a good level of torque and a high tool end Rev per Minute or RPM. Rotary Speed is measured in RPM and will be one of the first things that you see when reading a product description. The description will give a maximum and minimum value for RPM, so ideally the lower and higher these two respective values are the better. Torque is one of the most important parts of a rotary tool. Anyone who has even had to do some heavy metal grinding will know just how frustrating it can be to have a tool with a poor level of torque. Attachments are something definitely worth checking on. Though getting a good number of attachments with your purchase feels great, you also need to consider that at some point they will need replacing.Try to make sure you are getting a universal attachment tool so that you can buy off the self-tool bits to replace them. Many companies have specially designed collets to hold the bit ends in place that are not universal. They do this to try to restrict the chance of people using other companies’ products in an effort to increase their own revenue. Cases are something else that you should keep an eye out for as not only do they help to carry and protect your rotary but they are also great for storage. How do I know which is a really good quality rotary? It can be a real nightmare trying to tell the good from the bad as far as electronics are concerned. Most people make the somewhat correct assumption that sticking to the top brands will help you to avoid buying something that turns out to be a total waste of money. We have long since accepted that most products on the market will have been made in China, but in recent years that has seen the market flooded by low cost, often low-quality electronics. However, there are many good low-cost products that are made by unknown brands mixed in with these bad ones. Unfortunately, Chinese products have already gained such a reputation for poor quality that most people skip these perfectly good power tools in favor of well-known brands. There are a few things that can help you find a good quality power tool without the need to resort to costly trial and error. As far as electronics go, a well-known brand is not a guarantee of quality, though it does give some good indications of a general level of quality. Brands like Bosch, Dremel, Black & Decker and DeWalt are a good bet so far as the design and quality of the product are concerned. Cheaper brand electronics will often produce inferior products though increasingly this is not the case. We strongly advise if you are unaware of a brand’s reputation that you do a background search to learn more about it before you buy one of their products. Product feedback that has been written by customers who have recently bought the item is arguably the best source of information regarding a product’s overall pros and cons. Finding a site that offers a good level of customer feedback is a good idea as it will give you more viewpoints on which to base your decision. Reading some good quality reviews that are well-researched is also a really good idea. 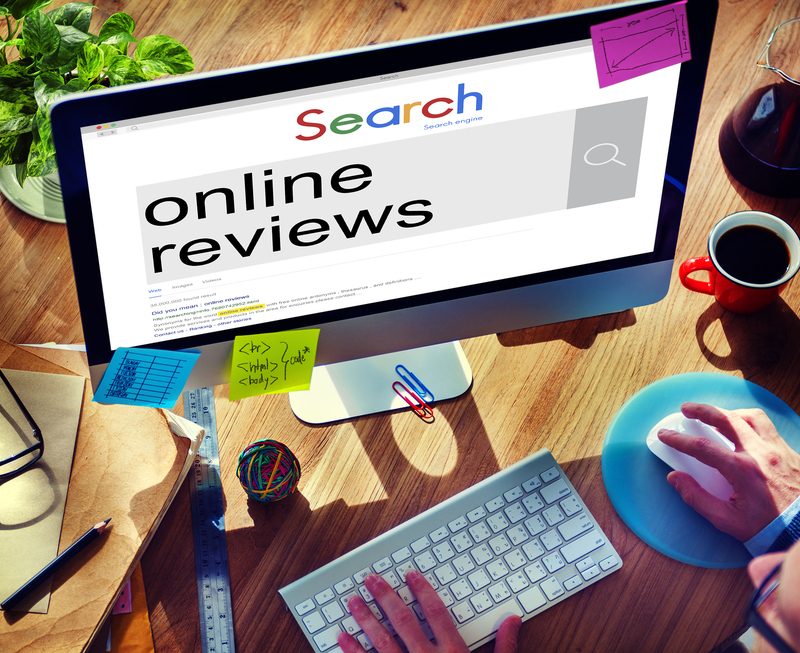 Since most reviewers are experts, they are able to compare a range of different products in better detail to decide which ones are the best of the bunch. It is advisable that you check to make sure that the product you are looking at buying has been certified as safe by the government safety organizations. In the United States, this is handled by the United States Consumer Product Safety Commission, that makes sure that all products adhere to the various safety regulations, like the National Electrical Code and the Consumer Product Safety Act. You should always make sure that you are getting a good warranty with whatever product that you are buying. Since statistics show that the highest rate of failure of an electrical product occurs within the first year, it is really important to make sure what kind of warranty you are getting. Most products come with a 1-year warranty, but many manufacturers now offer 2 and even 3-year warranties giving you even more protection. 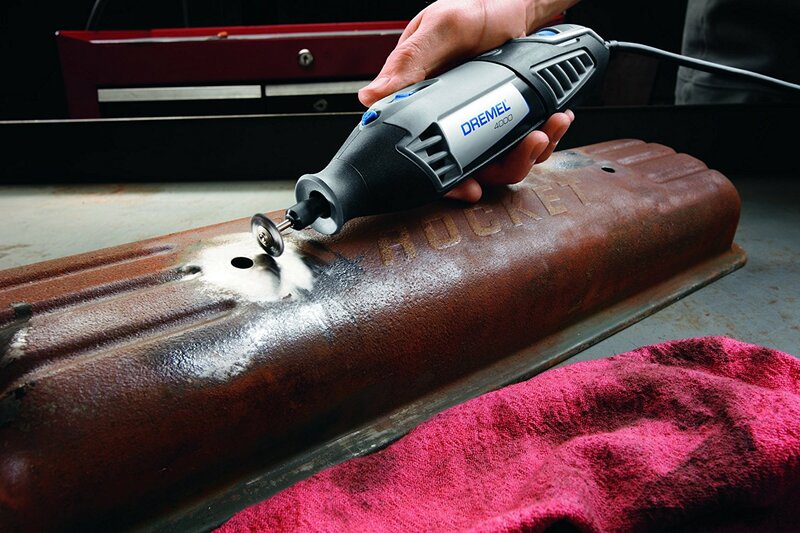 Dremel makes some excellent power tools and this has to one of the best Dremel tools to date. It combines a powerful motor that offers a really high level of torque throughout the tools 5,000 to 35,000 RPM spectrum. Most rotaries lose a significant level of torque at high RPM’s, but this one doesn’t show any noticeable drop-off. It comes with a really effective 360-degree grip meaning that the tool can be used in any position both safely and comfortably. The speed control is really well placed, so there is no chance of you accidently changing the speed while using the tool either. This tool comes with a really nice carrying case and 50 Dremel tool accessories that range from a high-speed cutting tool to sanders and cleaning ends. 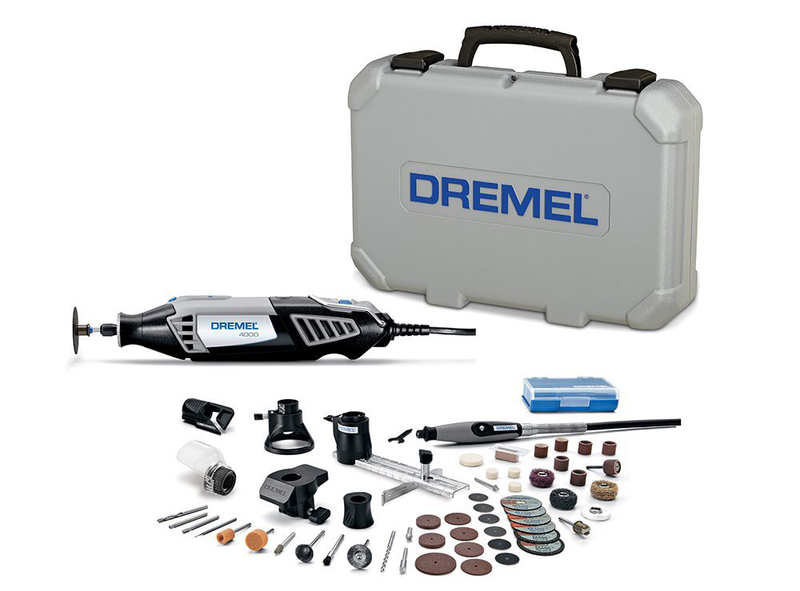 Dremel products are renowned for their high build quality and durability. 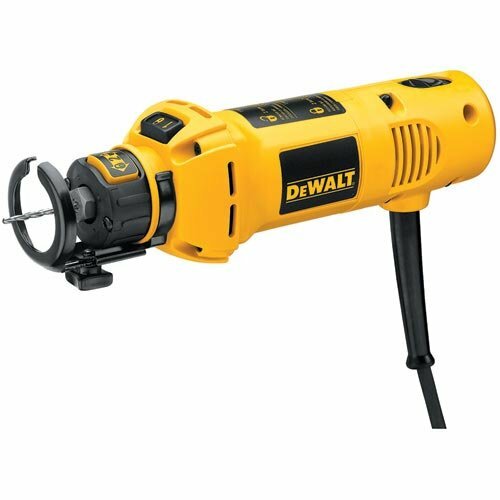 This drill is well made and is of exceptional quality, so even if you intend to give it some serious use it won’t have any problems. 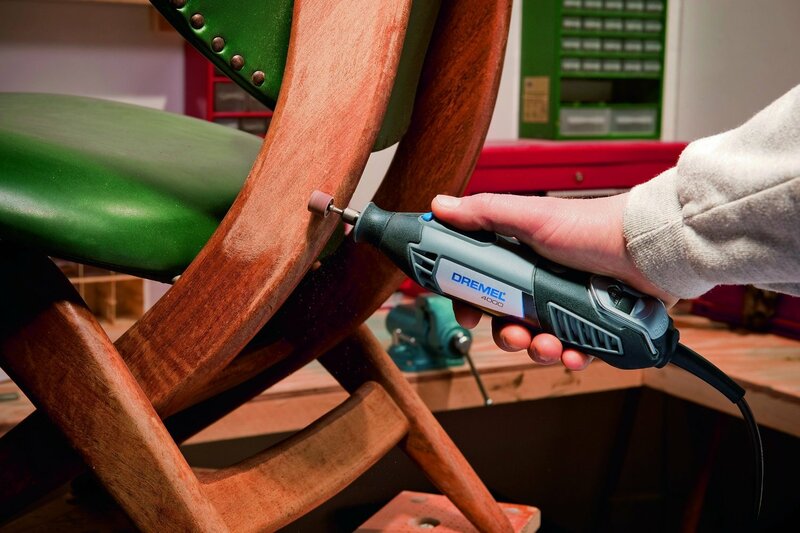 Since Dremel are offering a generous 2-year warranty with this power tool, you can rest assured that if something does go wrong, they will replace it straight away. This is a really good rotary that has an amazing level of torque. 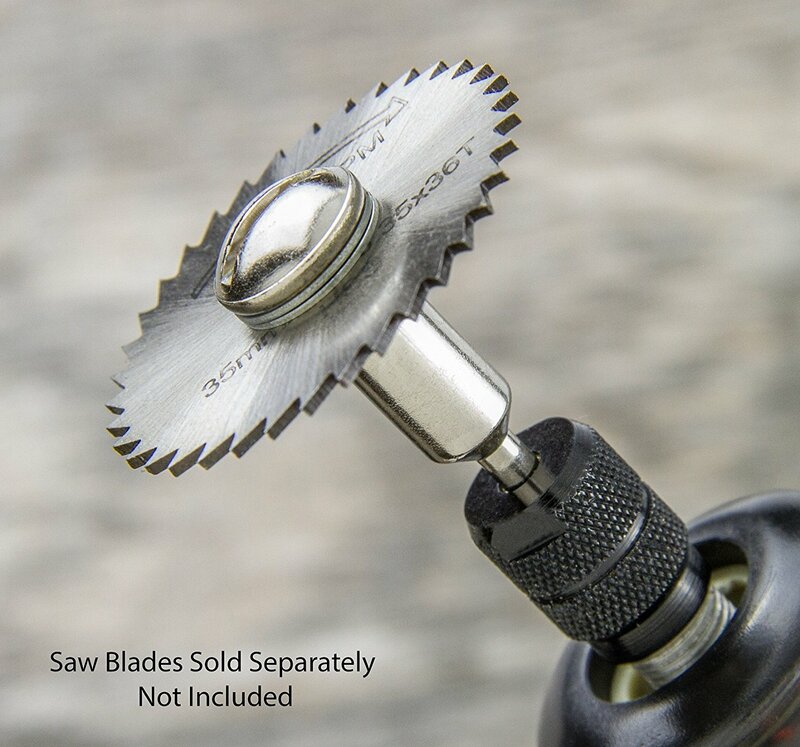 Ideal for those tougher jobs like grinding and sanding, this is a great option for all those people who need a serious power tool that won’t let them down. It offers 3 different spin speeds: 12,000, 24,000, and 30,000 RPM. 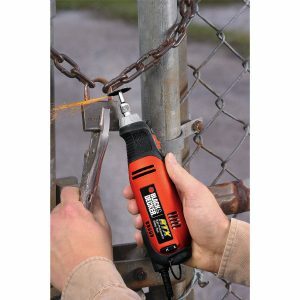 It comes with a tool set that includes 5 different accessories, a storage bag, user guide, wrench and an e -exclusive flip-lock spindle lock that allows easy replacement of tool bits. To this end, it also comes with a universal collet system, which means that you can use nearly any brand and off the shelf tool bits with it also. Its slim design makes it really easy to handle, something that when combined with its high torque makes this the best rotary for precision jobs like engraving. 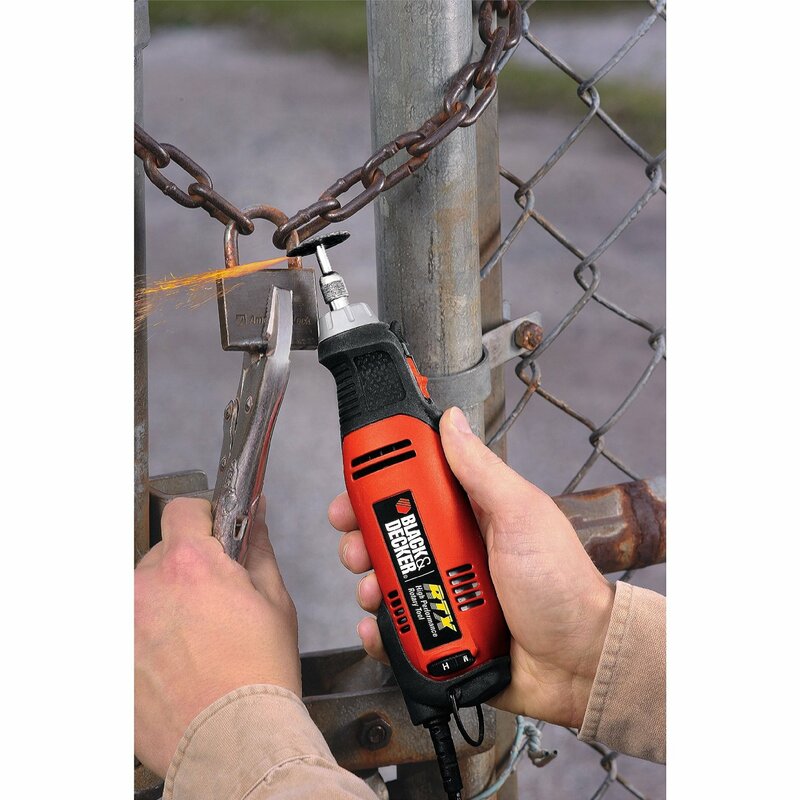 This rotary has been designed for professional tradesman to give them a powerful and reliable tool for their work. It is a slim body design and has a really effective on-off switch that makes operation safe and simple. The switch design is also dust sealed to prevent dust damage. Its 5-amp motor is capable of up to 30,000 RPM without producing too much vibration making this an excellent rotor for precision and heavy duty use. 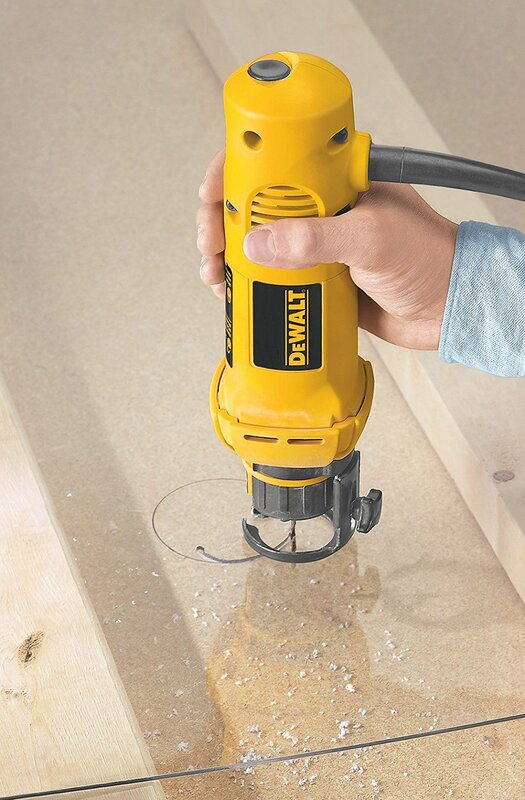 The rotary comes with a drywall cutting bit and 1/4″ / 1/8″ collets, meaning that it can be used with most common sized drill bits. 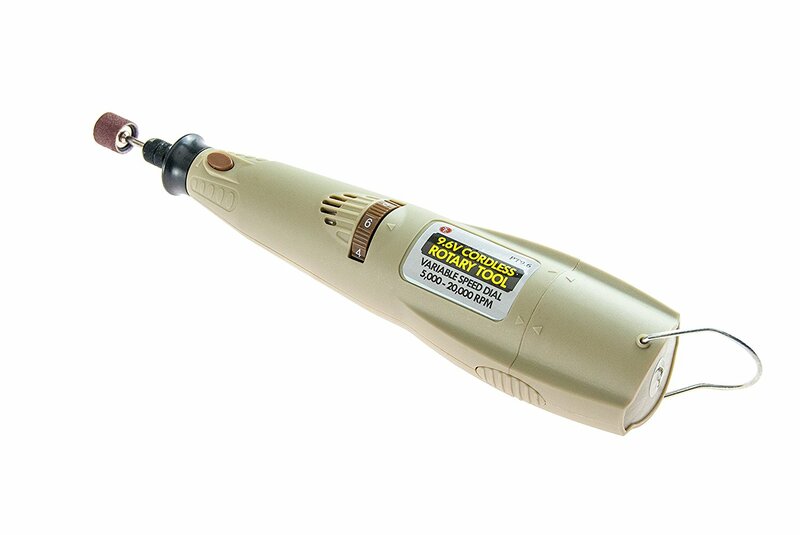 The second of our portable battery designs, this is another great power tool. Though not producing as much RPM and torque as the mains operated rotaries, the fact that this design still offers such a high level of performance and longevity as well as the chance to get away from the plug more than makes up for its power deficit. The rotary comes with a charging dock, chuck key, 3 sanding sleeves and a hanging loop for easy storage. 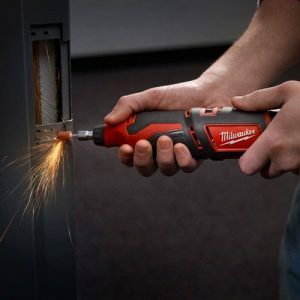 It is not as powerful as the Milwaukee 2460-21 design, but is still an excellent option for those people who are looking for a less expensive portable rotary for those lighter jobs. 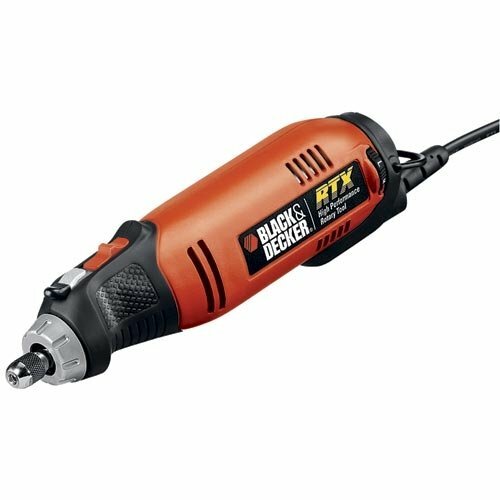 If you are looking for a really powerful cordless rotary tool then this is definitely the one you should consider. This rotary uses a 12v motor and a variable 5,000-32,000 RPM to give a really great level of all-round performance. Though not able to produce the same level of torque as its mains power counterparts, it still offers a really great level of performance. A really well-regarded power tool by its legion of fans, this rotary is excellent for professionals and amateurs alike. It has plenty of durability thanks to it having been made to a high standard of quality. The battery offers plenty of operation time even when the rotary is running at high RPMs. This is an excellent power tool for all of those people who don’t want to be limited to working wherever the nearest mains power source is. The hardest thing about finding any good product online is that you don’t get the opportunity to try all the different designs out first hand. This can cause all kinds of problems that usually end with the buyer being unhappy. The great thing about all the products featured on this list is that they come with a 14 or 30-day trial to make sure that their customers are 100% satisfied with the product. This gives you an excellent opportunity to try out the tool to see if you like it. All of the products featured on this list are the top of their class, so no matter which one you choose you won’t be disappointed. Be sure to read each of the product descriptions carefully as each of the designs differ slightly in performance and come with differing features. 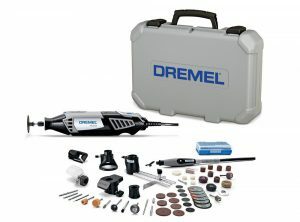 If you are looking for our top choice, then we definitely recommend that you try the Dremel 4000-6/50 120-Volt Variable-Speed Rotary Tool as it gives the best outright performance, reliability and is excellent value for money.